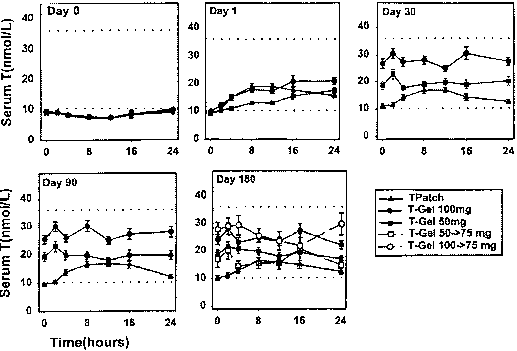 Androgens have been demonstrated to cause hypertrophy of renal tissue (Nathan and Gardner 1965), to increase EPO production and increase general RNA polymerase activity (Paulo etal. 1974). In addition, a corresponding effect ofsynergistic action of testosterone and oxygen-deprivation as experienced in high altitude-related hypobaria has been demonstrated in men (Klausen 1998). Nephrectomy abolishes the androgen-induced and EPO-related increase in erythropoiesis (Fried and Kilbridge 1969) and androgen effects on red blood cell mass are markedly mitigated by administration of EPO-antibodies (Schooley 1966). Accordingly, treatment of hypogonadal Klinefelter patients with various doses of intramuscular testosterone undecanoate resulted in a significant and dose-related increase of EPO concentrations and, as a consequence, elevation of hemoglobin levels (Cui etal. 2003). Vice versa, the antiandrogen cyproterone acetate can antagonize the effect of testosterone on EPO secretion in mice. The resulting anemia can consequently be treated by synthetic EPO (Medlinsky etal. 1969). Such effects were later also seen in men receiving a combined androgen-blockade by a GnRH agonist and flutamide for the treatment of advanced prostate cancer. The marked anemia which had developed after a few months was significantly improved by rhEPO (Bogdanos et al. 2003). Nevertheless, androgen effects on erythropoiesis are not restricted to enhancement of EPO secretion but are exerted via some direct pathways as well.